Marcy began her African television career in 2010, after a very successful acting career in the U.K as the lead on the Mnet show '53 Extra'. From there she was nominated amongst hundreds of contestants as one of the two chosen co-hosts on Africa’s number one talk show “Moments with Mo” which is exclusive to EbonyLife TV; Africa’s premium entertainment channel. She has since worked globally from stage and television, to radio crafting her expertise in entertainment. As one of Nigeria’s No 1 female TV personalities, Marcy has hosted many high profile corporate and lifestyle events for companies such as Nokia, P&G, Africa Magic, Malta Guinness, Ebony Life TV Launch (with Dare Art Alade), Genevieve Magazine, Complete Fashion Magazine, Access Bank, Sujimoto Construction and The Future Awards. She was chosen to represent Nigeria as a VIP guest on behalf of Moët and Chandon Champagne at the 2012 Roland Garros Tournament in France. In terms of acting, one of her most memorable roles was in the play 'Iya-Ile’ (The First wife), produced by Soho Theatre/the Tiata Fahodzi Company in the UK. The stage piece was written by award winning playwright, Oladipo Agboluaje, and directed by Femi Elufowoju jr. This play was nominated for the Most Prestigious British theatre awards, The Lawrence Olivier Award in the "Outstanding Achievement in an Affiliate Theatre" category. Marcy was also cast in the BBC mini-series 'Vexed' where she played the character of Tina T, one of three members of a pop band and the heart and soul of the group. She then segued into the African industry because of her deep love for homegrown entertainment. In 2011, Marcy was cast as the 'Lady in Blue' in the Nigerian adaptation of the famous Broadway stage play 'For Colored Girls Who Have Considered Suicide When The Rainbow is Enuf' by Ntozake Shange. She immediately followed these performances, as a new addition to the cast of the hit South African TV- Series 'Jacob's Cross,' one of the most popular drama series in Africa. She played the part of 'Moremi Omotoso' - a woman who is passionate, liberated, strong and fights for what she believes in. In addition, Marcy has shared the stage with notable actresses like Joke Silva, Jenny Jules and Danny Sapani, and was well received for her lead role from seasoned theatre critics and worked with internationally renowned actors like Lucy Punch, Toby Stephens and Jude Akuwudike. She has been nominated for numerous awards such as; The Future Awards (for young achievers), NEA Awards which celebrates the best in Nigerian entertainment and the Fab Awards which she went on to Win as TV Personality of the year 2012. She also won ambassador of the year at the ELOY (exquisite lady of the year) awards 2013. In 2013 she was one of three women chosen as a brand ambassador for a new alcoholic beverage from Diageo called “Snapp”. A fruity apple flavoured drink targeted at women. She was also the first ever recipient of the Dorothy L. Sayers actors award in UK in 2006. This was for her role in the play “God is a DJ” by Oladipo Agboluaje. 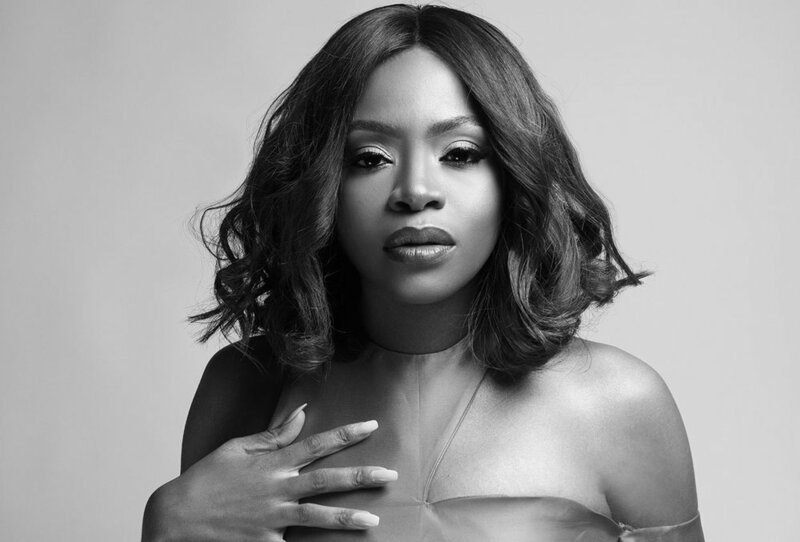 This award is given to rising stars in the U.K.
Marcy joined the cast of Desperate Housewives Africa, which aired on Ebonylife TV earlier in 2015. She has also launched her own show last year, The Marcy Project, and it is currently on its 2nd season showing in 40 countries in Africa and in the U.K.
She starred in a theatre workshop for “The Secret Lives of Baba Segi’s Wives” in London at The Theatre Royal Stratford East December 2015 and then went onto star in the musical “Wakaa!” at the Muson centre in Lagos at the end of December 2015. She played the lead in her first movie role, Diary of a Lagos Girl, which premiered across cinemas nationwide in Nigeria. It can now be viewed online at ikata tv. She reprised her role of Cassandra In Wakaa the musical last summer in London; this is the first time a Nigerian musical will show in the West End. She is also the Host of E! Entertainment Television’s “E Africa Vip Special” that showcases the best entertainers Africa has to offer. You can catch her interviewing the likes of Rita Dominic, Joselyn Dumas and Tiwa Savage on E! Dstv Channel 124. She is very active on YOUTUBE with her talk show, “So You Wanna Get Married?” where a panel of guests discuss the ups and downs of relationships and marriage. You can watch her get personal via her vlog on pregnancy and motherhood on the same platform. Whether she is hosting, acting, interviewing or presenting Marcy Dolapo Oni continues to raise the bar and remains a force to reckoned with in Africa and indeed across the world.